By Meredith Chilson on February 13, 2013 Visit Meredith's Website. Many backyard flocks have a rooster or two—to protect the hens as well as to help create the next generation of chickens. We had a lovely Buff Orpington rooster living in our family’s coop for a while, in fact. 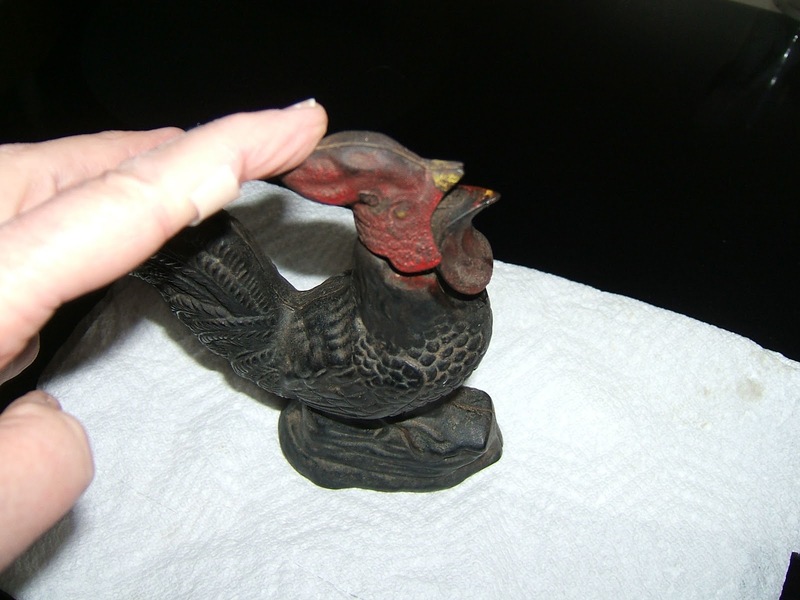 The family rooster I’m going to tell you about now, though, is only about 6 ½ inches tall and is nearly 125 years old. 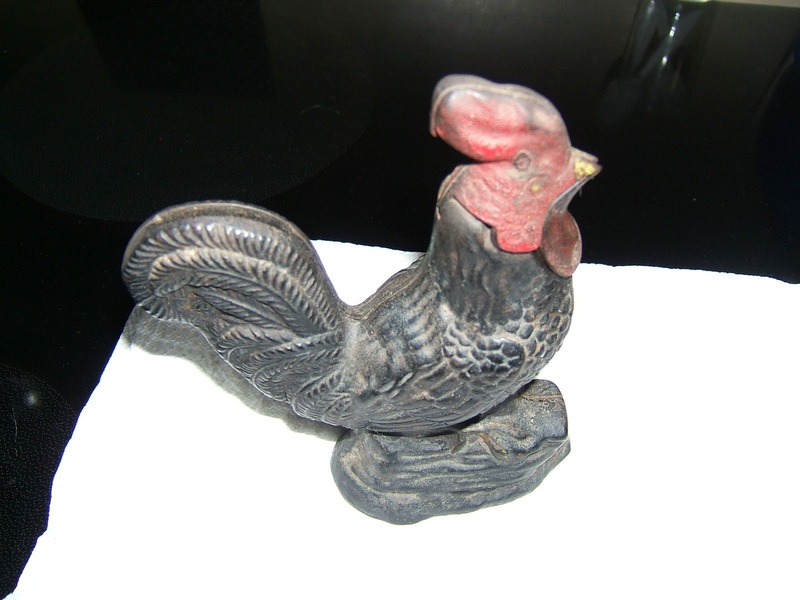 He’s black with a red comb and wattles, and was given to my grandfather on his 6th or 7thbirthday. This little bird is a cast iron mechanical bank, made in Pennsylvania by the Kyser & Rex Company sometime before 1884. Still banks were the first type of small bank to be sold, and were often very elaborate and detailed, with a slot for a coin. They sometimes depicted businesses or churches; some were animals or safes with combination locks. Mechanical banks are those with moveable parts. These banks usually allowed the owner to place a coin in a slot on one part of the bank, pull a lever or hit a button, and the coin would be tossed into the bank. Some of these mechanical banks were very intricate. “Teddy and the Bear”, for example, had a man holding a rifle; the rifle had a slot large enough to hold a coin. When the coin was put in the slot, a button on the “ground” by the man’s feet was pushed, and the coin would shoot out of the barrel of the rifle into a coin-sized hole in the cast iron tree directly across from the rifle. The coin would fall into the bank in the tree, but at the same time, another lever would trigger a bear rising up out of the trunk of the tree. The mechanism in the rooster bank that belonged to my grandfather was not quite so complicated. The coin slot is located right at the top of the tail feathers. A lever along the back to the tail (no longer there) could be pressed, and at the same time the coin dropped, the rooster’s beak would open as if he were crowing. I can remember the rooster sitting in the corner cupboard at my grandparent’s house, and then in the den at my parents, but I do not remember the lever mechanism. I have read that these cast iron banks were, as in my grandfather’s case, given as gifts to children—who not only used them as banks, but also played with them as toys. It is fairly rare to find a mechanical bank in excellent condition, with all parts still attached and still working. There are several associations for collectors of antique banks, some with guidelines and notes on how to be certain the bank is authentic and not a modern reproduction. Old cast iron, for example, is very dark and smooth, while newer cast models are often a lighter silvery color with rough edges. Painting on newer banks is usually brighter; even rust spots on reproductions tend to be redder in color. If the bank is held together with Phillips head screws, it is probably a reproduction; if the washer is square, it is more apt to be antique. In 1879 inventors Louis Kyser and Alfred Rex joined their creative talents to create the Kyser & Rex Company of Frankfort, Pennsylvania. The company manufactured iron cast goods and hardware in addition to a line of mechanical and still banks and bellringer toys…. Kyser & Rex ceased producing goods in 1884 when Kyser left the firm. The company’s name was soon changed to Alfred C. Rex and Company and Rex began to license his patented mechanical banks to other manufacturers until 1898. That fits right in with the time frame. I have no other information—from whom the gift arrived, how much it cost new, but it’s fun to speculate! I like to think about all the history and time the little bank spans, and the stories it could tell if only it could talk. My father gave me the cast iron rooster as a gift for my birthday some years ago. 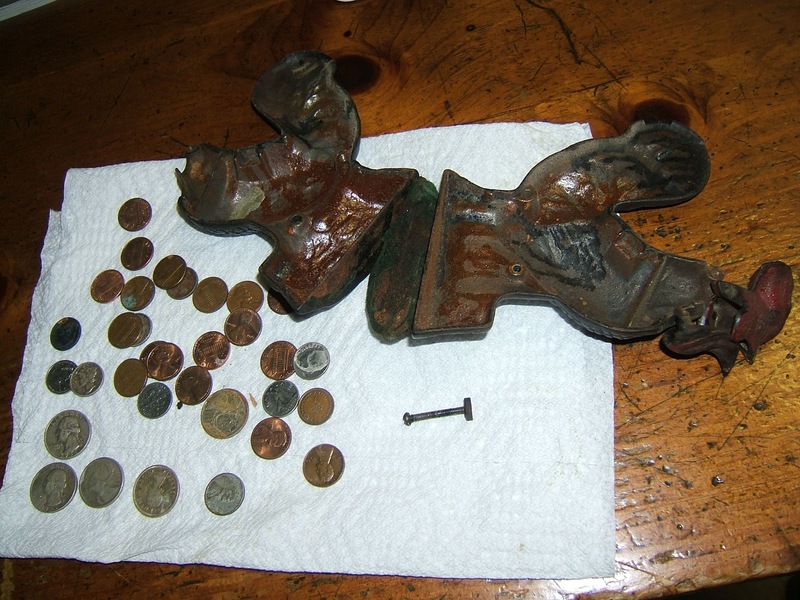 At the time, we opened it up (it does require a flat head screwdriver and is held with a square washer) and found several Canadian coins, three silver quarters from the 1940’s, a Liberty dime, a one-half cent coin, and a few pennies. It holds a place of honor on the top of the book shelf—where I dust it off occasionally and add a coin or two once in a while. It’s not a real rooster, of course, but it has looked over many “flocks” in its years. What do you have at your house that reminds you of family and times gone by? Pretty good post. I merely stumbled upon your website and wanted to say that I have really enjoyed reading through your blog posts. 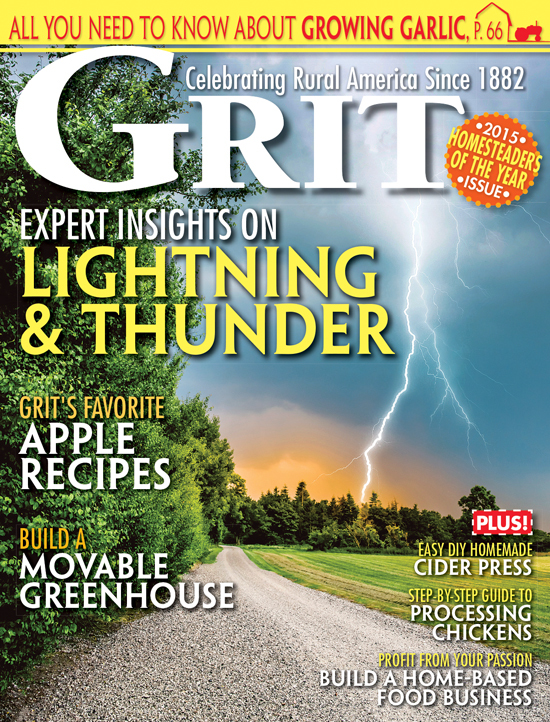 Any ways I’m going to be subscribing for your feed and I hope you post again soon.